Two scarves? Check. Some thread and a sewing machine? Double check. The desire to look hotter-than-hot as you strut your stuff down the street. Okay, now we’re onto something. 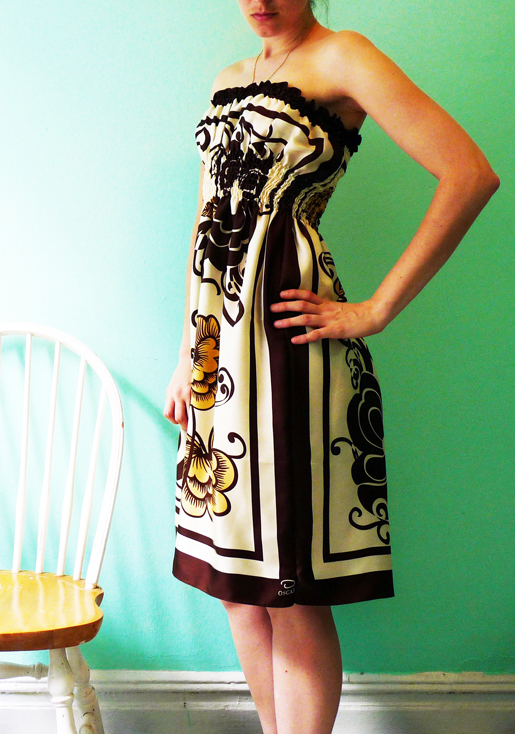 You can create this amazingly lightweight, flowing summer dress in no time. It’s a blast to wear and even more fun to whip up. 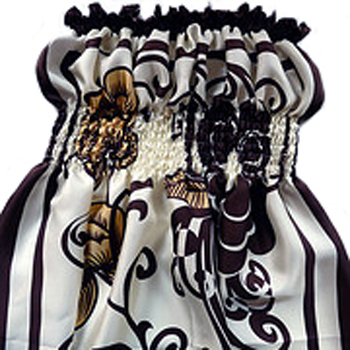 Note: Fits bust size up to as large as two scarf widths. Step 1) Create the elasticized panels. 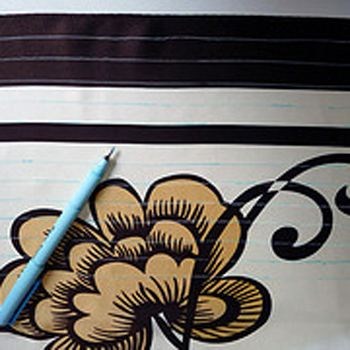 Draw lines 1/2″ apart on the right side of one scarf, parallel to the top edge. Continue for 9″ for a total of 18 lines. 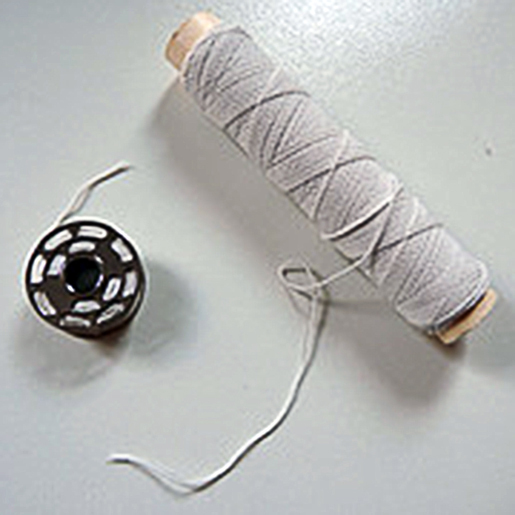 Hand-wind the elastic thread onto the bobbin. Do not try to wind it on the machine. Hold the thread slightly taut as you wind it. Load the bobbin in the machine with sewing thread in the needle. Set the machine for a 2.5 mm straight stitch. Starting with the row closest to the scarf’s top edge, sew the marked row with the fabric right side up. Backstitch to secure the elastic thread when you start and end each row. 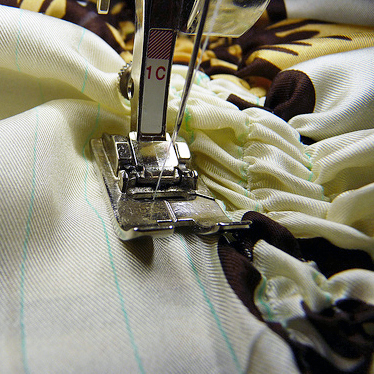 Continue to sew the remaining rows, keeping the fabric under the needle flat and unwrinkled. Mark three rows on the remaining scarf’s right side, parallel to the top edge and 1/2″ apart. Leave a 4-1/2″ space below the last row and then continue marking rows. Mark another seven rows 1/2″ apart. Make the last row 9″ below the top edge. Sew the rows on the dress front as you did the dress back. Step 2) Construct the dress. Pin the scarves together along the side, placing the pins parallel to the edges of the scarf, with a 1/2″-wide seam allowance. Check for fit. If necessary, adjust the pins to determine a new seamline placement. When happy with the fit, stitch the front and back panels along the seamline. Trim seam allowances to 1/2″ wide; press. Previous Previous post: Minkee Pals – Made from Socks!